What would you do if you were trapped in another country and couldn't reach anyone, leaving your loved ones to think you were dead or had disappeared off the face of the planet? Do you think it would be easy to step back into your life when you returned, like your disappearance never happened? As one woman is about to find out, it doesn't necessarily work that way. As a deathbed request from her mother, Emma Tupper goes to Africa for a month, but circumstances beyond her control keep her there for SIX months. When she returns, she's not prepared for all the changes that have taken place....the first being that people think she's dead and the second being that life has been moving on without her. She has to fight for her job and try to reclaim her apartment from the handsome stranger living there. Soon she begins to question what is truly worth fighting for after all. Seeing that I loved Catherine McKenzie's previous two novels, I went into Forgotten with eager anticipation and high expectations. She definitely did not disappoint! The story was engaging from the very beginning, when she kept us wondering why Emma's mom would be so adamant about her traveling to Africa. Was there a message she was supposed to receive while there, or a lesson to learn? While we get brief glimpses of her time in Africa, they were shared after the fact, so Emma wasn't in that moment anymore. I wish that the beginning of the novel had been all about her time in Africa with more details and then we could experience her shell-shock upon her return even more intensely. Emma was easy to relate to throughout the story. I felt like I was continuously learning new things about her in each chapter. She was portrayed as tough, but even she had a breaking point. Her way of showing anger or frustration was so extreme sometimes. I liked her relationship with her best friend. They had a strong dynamic and it made me think of my relationship with my best friend. How you can be away from someone for a long time and when you're together again, it's like no time was lost and you could go on talking forever. I also enjoyed her interactions with the other characters in the novel. Everyone felt so real, like they were right in front of my face. The dialogue was realistic and flowed nicely throughout the story. There were points when I'd have to re-read some interactions because I wasn't sure who was taking each part in the conversation, but overall it was easy to follow. The other thing I wish for this novel (aside from more detail about Africa), was that Emma's home location was specified. I was guessing she lived in Canada because Catherine McKenzie lives there and that would be her frame of reference. However, she mentions towards the beginning, the irony of eating a Chicago hot dog at a London airport. That made me question the location a bit. Then, later in the story, she mentions Kraft Dinner, which is specific to Canada. I feel that location specification is so important to a novel. There's a certain feel and personality of different cities. Chicago is different from New York, which is different from Washington D.C. or Los Angeles. I don't know much in detail about the various cities and provinces in Canada, but I have read novels taking place in Toronto, Ontario, Montreal, etc. and they all gave off different vibes. So knowing if Emma was living in Chicago vs. Toronto would be a major detail for getting the feel of the story. I can't recall if Catherine's other novels didn't include specific locations, but it seemed to nag at me more this time. 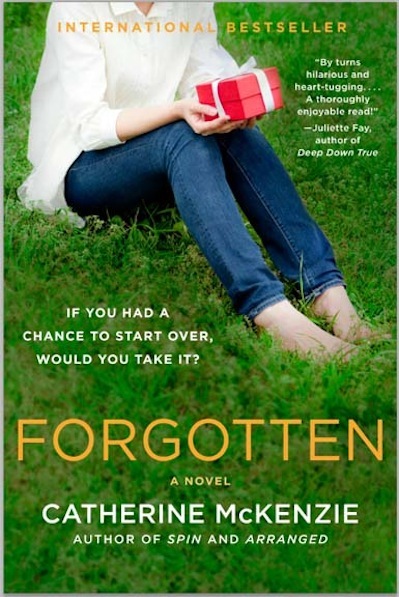 Forgotten was another page turner with an interesting and thought provoking topic. I had just come off reading a story about a woman who is wondering where her husband disappeared to and trying to figure out how long to wait before moving on. In contrast, this novel is from the perspective of someone who was declared missing and possibly dead and how they feel about life moving on without them when they return. While things seemed to wrap up a bit too neatly in the end, I couldn't help but want the best for Emma in all areas of her life. However, I won't say anything more as to not spoil all the fun and interesting surprises in store. 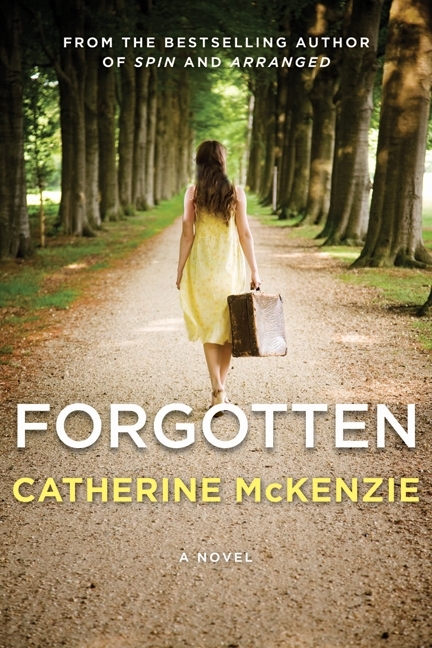 Thanks to Catherine McKenzie for the book in exchange for an honest review. Tune in to her interview, where we're giving away some copies to some readers in the US and Canada. How could no one comment on this? What an interesting premise!